There are various reputed packers and movers in Delhi offering hassle free shifting and relocation services to the people. But finding out the right one that can suit you economically and a well experienced moving company is the main concern. It is a big undertaking and considerable to choose a right one to make shifting without any stress. So, before going with any relocation service provider you must do some research to find out an excellent moving service provider. Through this article you can find some tips and guidelines that will definitely prove helpful for you to find out the best movers and packers in Delhi for the hassle free shifting process. First step should be making a list of some shifting companies while deciding to shift to other destination. Take suggestions from your friends, relatives, colleagues and neighbours that will be helpful in making a list of movers. The best way to prepare a list by taking help of the internet where you can find numerous packers and movers companies with complete details. After this step, second step would be getting estimates from the companies that you have selected for move. You can find free estimates or quotes from most of the shifting service providers. Visit their offices or make a call to their representative. It is not possible to give you estimates for all the households to be transported without seeing your locations, size and amount of your belongings so don’t brief much over phone. After the process of estimates & cost planning from different packers and movers in Delhi, getting accomplished now it is the time to compare and real research work. Compare and check estimates also costs of these companies along with the comparisons of their services that they are offered to you. Asking about the best moving companies in Delhi that what kinds of services they are going to provide you at the time of shifting your all the belongings to a new address is the utmost necessary task. Reason of asking these questions to them is to make you aware about the total provided services. Check the quality of its services and also gather information like how much experience the company is having in the industry of relocation and transportation. Discuss and put up some questions regarding move – Have a complete discussion about additional discounts after getting quotes. Confirm whether there are any hidden costs and surplus charges. Ask about payment mode. Through insurance facilities you can save unnecessarily spent money. Hence ask about insurance coverage facilities. If you need, ask for warehousing and storage facilities too. 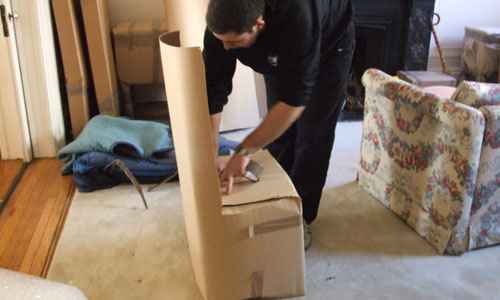 By finishing such all tasks you will be able to find out the top Delhi packers and movers companies. I hope this article will be helpful for you to find out a trustworthy and economically right firm to shift your household items to the right place damage free.